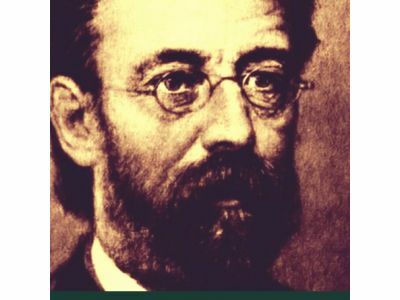 Kalamazoo, MI January 9, 2017 - The Kalamazoo Symphony Orchestra presents The World of Smetana, an interactive and immersive concert experience exploring the life and music of Bedřich Smetana. This will be the final concert in the World Of series for the KSO, as the creator and conductor of these concerts – Maestro Raymond Harvey – will retire as Music Director after this season. His unique style of engaging audiences through compelling music, inspired dialogue and humor, along with meaningful stage craft, has made these concerts beloved by so many. Learn about one of the greatest Czech composers while hearing excerpts from his opera The Bartered Bride, String Quartet No. 2, and his orchestral masterpiece Mà Vlast (My Fatherland). For more than 35 years, Raymond Harvey has made a significant impact as an American conductor of great skill and insight. Born in New York City, he studied piano and conducting, receiving Bachelor's and Master's degrees in choral conducting from the Oberlin Conservatory of Music; and then studied orchestral conducting at the Yale School of Music, earning Master’s and Doctor of Musical Arts degrees. The Kalamazoo Symphony Orchestra proudly presents The World of Smetana. Maestro Raymond Harvey will guide listeners through the life of Beřich Smetana; uncovering the influences and inspirations behind some of his best known and some relatively unknown works. Learn about one of the greatest Czech composers while hearing excerpts from his opera The Bartered Bride, String Quartet No. 2, and his orchestral masterpiece Mà Vlast (My Fatherland).